We are passionate, caring community members who want to support a better future for our world. 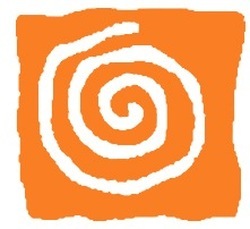 The Community Learning Network is a New-Mexico-born and locally-based grassroots 501(c)3 not-for-profit organization born out of this communal intention and global need. We are a web of real-people in real-places who work together to provide extraordinary real-life learning experiences that inspire responsible, respectful, relational living and that will deepen the way you look at life...and the world. New Mexico is home to 22 indigenous nations and numerous old Spanish settlements and mission churches. Tucked between Arizona and Texas, Colorado, Oklahoma, and Mexico. the Rio Grande River is the lifeblood of the region. 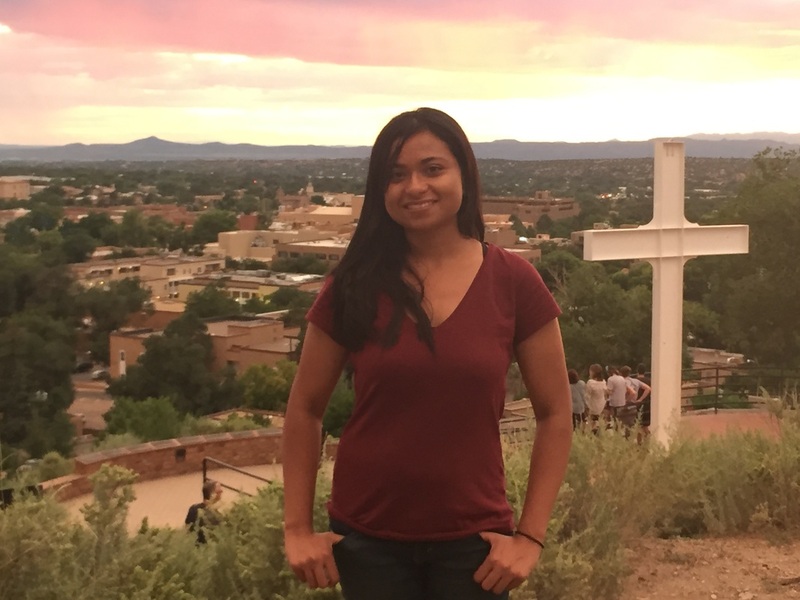 The 400-year-old capital city of Santa Fe, "City of Holy Faith," is nestled at the base of the Sangre de Cristo Mountains which translates from Spanish into English as "Blood of Christ." By car, Santa Fe is one hour north of the international airport in Albuquerque and one hour south of the mountain town of Taos, New Mexico. The region was originally inhabited for thousands of years by numerous indigenous nations. Later, the Spanish came to settle in Santa Fe around 1608. In 1680, the Pueblo Revolt succeeded in pushing the Spanish out for 12 years. While developing Santa Fe as a trade center, the returning settlers founded Albuquerque in 1706. Then, Spain forfeited the province of New Mexico to Mexico after the Mexican War of Independence. Later, the Mexican-American war was ended with the Treaty of Guadalupe Hidalgo in 1848, and Mexico ceded to the United States what is known as the American Southwest and California. In 1912, New Mexico became the 47th state in the US. Spanish is spoken by more than 28% of New Mexicans, and numerous indigenous languages are common including Tewa, Tiwa, Towa, and Keres, as well as Ute, Apache, and Dine' (Navajo). 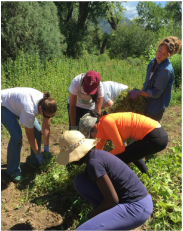 Plant corn, clean acequias, distribute food, work in a local soup kitchen, distribute food to families and elders in need, meet with area students and teachers, and even muck stables, feed horses, or milk goats. 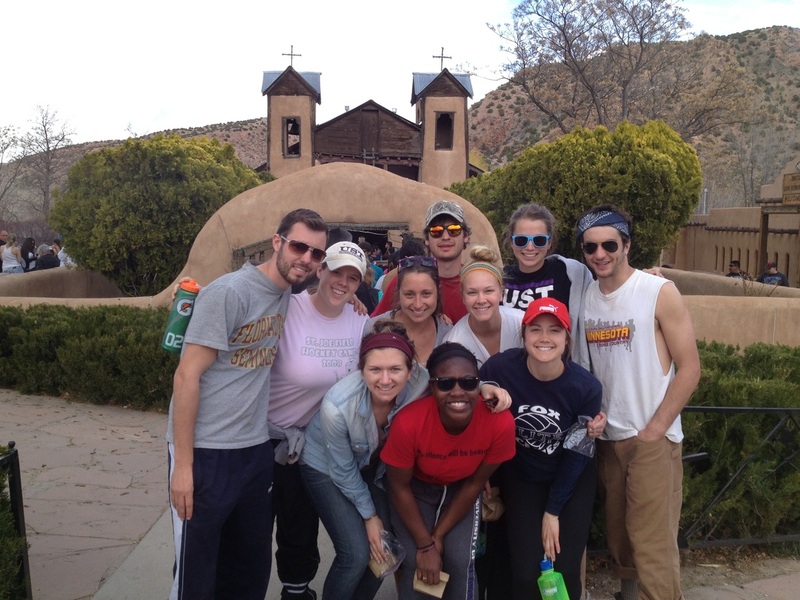 There are plenty of ways to serve others in Santa Fe and more! An extraordinary opportunity for community exchange and environmental education in the art and science of right relation. The region is home to over 22 indigenous nations and numerous 400-year-old Spanish settlements. People have survived and thrived thanks to a deep commitment to family and community, as well as culture, nature, and "Creator." Traditional languages and cultures still survive despite years of colonial occupation. We love MUD...hope you do, too! Much of Northern New Mexico is built from adobe - a mixture of earth, clay, straw, and water. Join us in this timeless tradition and learn about our historic buildings and churches, adobe architecture, wooden vigas, kiva fireplaces, earthen ovens, mud plaster, latillas, passive solar, and energy-saving design. We are building a future while honoring the past! Steep in the deep heritage of the region while participating in intergenerational community work projects. We joke around in Santa Fe that there is an old Catholic Church every 5 blocks. Museums, historic monuments and archeological ruins, trails and parks, the pueblos, and of course, lots of adobe churches and historic buildings to see! environmental stewardship, food security, and land conservation while enjoying the extreme beauty, culture, and history of northern New Mexico! and refreshing medicine for the spirit and soul. P.S. - Just say AHHHHhhhhhhh! nd visit local organizations, projects, and attractions. of northern New Mexico is pure medicine for the soul. "Every time we have the opportunity to partner...I am left, as a participant and a staffperson, at a rare loss for words to express my gratitude for the profound, moving, and enlightening experience you've made possible for me and our alumni. I never doubt or take for granted the amazingness of what awaits, ...the result of a thoughtfully coordinated experience FULL OF HEART. The group texts are still buzzing, and I think we did a solid job of acheiving that service-education-culture balance. I know we will see you again soon! Phew! " For more, visit our www.LearnNewMexico.org webpage.